This article is about the opera by Verdi. For the opera by Rossini, see Otello (Rossini). For other uses, see Othello (disambiguation). Otello (Italian pronunciation: [oˈtɛllo] ) is an opera in four acts by Giuseppe Verdi to an Italian libretto by Arrigo Boito, based on Shakespeare's play Othello . It was Verdi's penultimate opera, and was first performed at the Teatro alla Scala, Milan, on 5 February 1887. 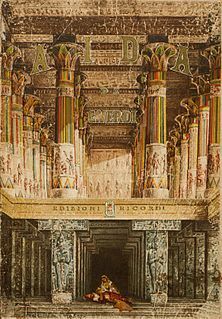 With the composer's reluctance to write anything new after the success of Aida in 1871 and his retreat into retirement, it took his Milan publisher Giulio Ricordi the next ten years, first to persuade him to write anything, then to encourage the revision of Verdi's 1857 Simon Boccanegra by introducing Boito as librettist, and finally to begin the arduous process of persuading and cajoling Verdi to see Boito's completed libretto for Otello in July/August 1881. However, the process of writing the first drafts of the libretto and the years of their revision, with Verdi all along not promising anything, dragged on, and it wasn't until 1884, five years after the first drafts of the libretto, that composition began, with most of the work finishing in late 1885. 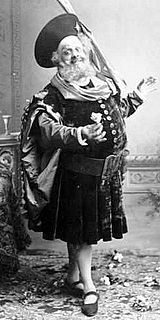 When it finally premiered in Milan on 5 February 1887, it proved to be a resounding success, and further stagings of Otello soon followed at leading theatres throughout Europe and America. Because of the immense popularity of Verdi's music in Italy by the 1870s, Verdi's retirement seemed to his publisher, Giulio Ricordi, to be a waste of talent and possible profits. Thus a plot of sorts was hatched in order to coax the composer out of retirement to write another opera. Because of the importance of the dramatic aspects of opera to the composer, Verdi was especially selective in his choice of subjects. Consequently, if he were to agree to create another opera after a decade of retirement, the libretto would need to be one that would capture his interest. Nerone (Nero) is an opera in four acts composed by Arrigo Boito, to a libretto in Italian written by the composer. The work is a series of scenes from Imperial Rome at the time of Emperor Nero depicting tensions between the Imperial religion and Christianity, and ends with the Great Fire of Rome. Boito died in 1918 before finishing the work. Elena Clara Antonia Carrara Spinelli was an Italian woman of letters and backer of the Risorgimento, usually known by her married name of countess Clara Maffei or Chiarina Maffei. Persisting with further attempts to convince the composer, Ricordi had also broached the idea of a collaboration with Boito for a new opera based on Shakespeare's Othello . Verdi admired the dramatic works of Shakespeare and had, throughout his career, desired to create operas based on his plays, although his one attempt at doing so, Macbeth in 1847, although initially successful, was not well received when revised for performance in Paris in 1865. Because of its relatively straightforward story, the play Othello was selected as a likely target. At this point the opera was being referred to as Iago rather than Otello, due to the tradition—"an unwritten law of the theatre"  —that any new opera would have a new title rather than that of one still in the repertoire, in this case by Rossini. The theme and my libretto are yours by right of conquest. You alone can set Othello to music—all the dramatic creations you have given us proclaim the truth. [...] no other subject in the world can distract me, not even Shakespeare's Othello, could distract me from my theme. Verdi's response, which came right away was quite blunt: in addition to complaining of his age, his years of service, and raising other objections, he states: "The conclusion is that all this has cast a chill over this Otello, and stiffened the hand that had begun to trace out a few bars! ",  but, in total contrast, Boito appears to have simply decided to carry on. Albeit "somewhat disquieted", he immediately proposes "a sort of evil Credo [which] I did... for my own comfort and personal satisfaction, because I felt the need of doing it". On 3 May, Verdi wrote back, calming this down: "Most beautiful this Credo; most powerful and wholly Shakespearian....[...] it would be well to leave this Otello in peace for a bit....[and encouraging Boito to come to Sant'Agata where] "we shall be able to talk it over again, and by then with the necessary calm". Boito did visit Verdi in September for three days. Scoring took another year which, from January 1886 onward, involved the librettist in re-writes and additions at Verdi's request. It was at this time that it was decided to call the opera Otello rather than Iago (as noted above). Verdi's letter to Boito in January settles the matter: "I would find it hypocritical not to call it Otello. Emanuele Muzio (Verdi's long-time assistant) tells Ricordi in March that the love duet in act 1 was finished and performed. As the Italian public became aware that the retired Verdi was composing another opera, rumors about it abounded. At the same time, many of the most illustrious conductors, singers and opera-house managers in Europe were vying for an opportunity to play a part in Otello's premiere, despite the fact that Faccio and La Scala, Milan, had already been selected as the conductor and the venue for the first performance. The two male protagonists had been selected, too: Italy's foremost dramatic tenor, Francesco Tamagno, was to sing Otello while the esteemed French singing-actor Victor Maurel would assume the villainous baritone role of Iago. Romilda Pantaleoni, a well-known singing-actress, was assigned Desdemona's soprano part. Upon the completion of the opera, preparations for the initial performance were conducted in absolute secrecy and Verdi reserved the right to cancel the premiere up to the last minute. In particular, the composer expressed reservations about Tamagno's softer singing, though not about the power and ring of his vocalism in dramatic passages of the score. Verdi need not have worried: Otello's debut proved to be a resounding success. The audience's enthusiasm for Verdi was shown by the 20 curtain calls that he took at the end of the opera. Further stagings of Otello soon followed at leading theatres throughout Europe and America. The opera was first seen in the US at the Academy of Music in New York on 16 April 1888 and in the UK on 5 July 1889 in London. When it was given in Paris on 12 October 1894, "Verdi composed a short ballet (which) forms part of the ceremony of welcome for the Venetian ambassadors in the act 3 finale." The first Parisian production was directed by Lapissida, with costumes designed by Charles Bianchini, and sets by Marcel Jambon (Act I), Amable and Eugène Gardy (Act II), Eugène Carpezat (Act III), and Auguste Alfred Rubé and Philippe Chaperon (Act IV). At its first appearance in Vienna, the title role was sung by Hermann Winkelmann, who had created the title role in Wagner's Parsifal at Bayreuth in 1882. Since the three leading roles of the opera (Otello, Desdemona and Iago) are among Verdi's most demanding, both vocally and dramatically, some of the most illustrious singers of the past 130 years have made Otello part of their repertoire. Famous Otellos of the past have included Tamagno, the role's trumpet-voiced creator, as well as Giovanni Battista De Negri, Albert Alvarez, Francesc Viñas, Giuseppe Borgatti, Antonio Paoli, Giovanni Zenatello, Renato Zanelli, Giovanni Martinelli, Aureliano Pertile, Francesco Merli, Giacomo Lauri-Volpi, Frank Mullings, Leo Slezak, Jose Luccioni, Ramón Vinay, Mario Del Monaco, James McCracken, Jon Vickers, David Rendall, Jeffrey Lawton and Carlo Cossutta. Pre-Second World War Wagnerian tenors such as Jacques Urlus, Heinrich Knote, Alexander Kirchner, Lauritz Melchior and Franz Völker also undertook the part (usually singing it in German). The Russian heroic tenor Ivan Yershov was a renowned pre-World War I Otello in his native country. His compatriot Arnold Azrikan achieved his greatest recognition as a dramatic tenor in Otello. For this performance he was awarded the Stalin Prize in 1946. Enrico Caruso was studying Otello when he died unexpectedly in 1921, thus thwarting the New York Metropolitan Opera company's plans to stage the opera as a new vehicle for its star tenor. A long lineage of renowned baritones have sung Iago since 1887. Among them: Victor Maurel (the role's first exponent), Mattia Battistini, Mario Ancona, Antonio Scotti, Titta Ruffo, Pasquale Amato, Carlo Galeffi and Lawrence Tibbett. Leading post-war exponents of the part have included Giuseppe Valdengo, Leonard Warren, Robert Merrill, Tito Gobbi, Sherrill Milnes and James Morris. Many lyric sopranos have also sung the role of Desdemona since 1887, including Renata Tebaldi (1954), Leonie Rysanek (1960), Gwyneth Jones (1968), Mirella Freni (1974), Margaret Price (1977), Renata Scotto (1978), Katia Ricciarelli (1985), Kiri Te Kanawa (1991), Cheryl Studer (1993), Renée Fleming (1996) and Sonya Yoncheva (2015). A town in Cyprus, outside the castle. An inn with a pergola, in the background the quayside and sea. It is evening. Lightning, thunder, gale force winds. On a stormy evening, the people of Cyprus anxiously await the arrival of the new governor, Otello, from a naval battle with the Turks (Chorus, Montano, Cassio, Iago, Roderigo: Una vela! / "A sail!"). For a moment it seems as if Otello's ship will founder, to the delight of Otello's treacherous ensign, Iago, but Otello arrives safely and announces that the Turkish fleet has been destroyed, and the Cypriots cheer (Otello, chorus: Esultate! L'orgoglio musulmano sepolto è in mar / "Rejoice! The Muslim’s pride is buried in the sea"). Iago offers to help the young Venetian gentleman Roderigo in his seduction of Otello's wife, Desdemona – Iago envies Otello his success and longs to destroy the Moor (Iago, Roderigo: Roderigo, ebben che pensi? / "Well, Roderigo, what are you thinking?"). Among his grievances, Iago is outraged that Otello has appointed Cassio to be the captain of the navy, a position that Iago hoped to have. The people of Cyprus celebrate the safe return of Otello and his men by lighting a bonfire and drinking (Chorus: Fuoco di gioia!/ "Fire of joy"). Iago proposes a toast to Otello and his wife, while Cassio praises Desdemona (Iago, Cassio, Chorus, Roderigo: Roderigo, beviam! / "Roderigo, let's drink!"). Iago offers Cassio more wine, but Cassio says he has had enough. Iago pressures him and offers a toast to Otello and Desdemona. Cassio gives in. Iago sings a drinking song and continues to pour Cassio wine (Iago, Cassio, Roderigo, chorus: Inaffia l'ugola! / "Wet your throat"). Montano enters and calls for Cassio to begin his watch; he is surprised to find Cassio drunk and barely able to stand upright. Iago lies to Montano, telling him that this is how Cassio spends every evening. Roderigo laughs at Cassio's drunkenness and Cassio attacks him. Montano tells Cassio to calm down, but Cassio draws his sword and threatens to crack open Montano's head. (Montano, Cassio, Iago, Roderigo, chorus: Capitano, v'attende la fazione ai baluardi / "Captain, the guard awaits you on the ramparts".) Cassio and Montano begin to duel, and Iago sends Roderigo to call the alarm. Montano is wounded and the fight is stopped only by the appearance of Otello. Otello orders Montano and Cassio to lower their swords. He then asks "honest Iago" to explain how the duel began, but Iago says he doesn't know. Otello then turns to Cassio, who is embarrassed and cannot excuse his actions. When Otello discovers that Montano is wounded, he becomes enraged. Desdemona enters, and, upon seeing that his bride's rest has been disturbed, Otello declares that Cassio is no longer Captain. (Otello, Iago, Cassio, Montano: Abbasso le spade / "Down with your swords".) He tells Iago to patrol the town to restore quiet, calls for help for Montano and orders everyone to return to their houses. A hall on the ground floor of the castle, divided by a glass partition from the garden at the back, with a balcony. Iago suggests to Cassio that he should ask Desdemona to talk to Otello about his demotion; Desdemona can influence her husband to reinstate him (Iago, Cassio: Non ti crucciar / "Do not fret"). Desdemona and Emilia can be seen walking the garden. Cassio approaches Desdemona. Watching from the room, Iago voices his nihilistic beliefs and hatred of humankind (Credo in un Dio crudel / "I believe in a cruel God"). Otello enters the room; Iago, pretending not to notice him, says that he is deeply troubled. Cassio sees Otello from afar and goes discreetly away. Otello asks what's wrong, but Iago gives only vague answers. Finally, he hints that Cassio and Desdemona are having an affair. Otello begins to get suspicious, but declares that he needs proof before believing that Desdemona has been unfaithful. (Iago, Otello: Ciò m'accora... Che parli? / "That worries me..." "What did you say?") Iago warns Otello against jealousy, but also advises him to be vigilant. A crowd of children, sailors, and Cypriots sing to Desdemona, praising her beauty and purity (Chorus, Iago, children, Desdemona, Otello: Dove guardi splendono raggi / "Wherever you look, brightness shines..."). They present her with gifts and wish her happiness before leaving. Desdemona carries Cassio's request for reinstatement to Otello. Otello sourly tells her to ask him another time; as she persists, he grows impatient and says he has a headache. Desdemona offers to wrap his head in a handkerchief Otello once gave her, linen embroidered with strawberries. Otello throws it to the ground and says he doesn't need it (Desdemona, Otello: D'un uom che geme sotto il tuo disdegno la preghiera ti porto / "I bring a petition from one who suffers under your displeasure"). Emilia picks up the handkerchief. Desdemona asks for Otello's forgiveness. Aside, Iago demands that Emilia give him the handkerchief. When she refuses, Iago forcibly takes it from her. Otello dismisses the others, and declares that he now believes that Desdemona may be deceiving him (Otello: Ora e per sempre addio sante memorie / "Now and forever farewell, holy memories"). Iago returns, and the jealous Otello demands proof of Desdemona's infidelity. Iago says that once, when he and Cassio were sleeping in the same room, he heard Cassio talking to Desdemona in a dream. In the dream, says Iago, Cassio told Desdemona that they must be careful to conceal their love. (Iago: Era la notte, Cassio dormia / "It was night, Cassio was sleeping".) Iago says that dreams don't prove anything, but remarks that he saw Cassio carrying Desdemona's strawberry-embroidered handkerchief just the day before. Otello swears vengeance on Desdemona and Cassio, and Iago joins him in his vow (Otello, Iago: Sì, pel ciel marmoreo giuro / "Yes, by the marble heavens I swear"). The great hall of the castle. To the right, a large colonnade leading to a smaller hall, in the back of which is a balcony. Othello and Iago talking in the hall as a herald enters. Desdemona enters and reminds Otello of Cassio's request. Otello says that his headache has returned, and asks Desdemona to wrap her handkerchief around his head. When Desdemona produces a different handkerchief, Otello demands the one with strawberries. When she says she does not have it, Otello says that it was a talisman, and troubles will befall her if she loses it. Desdemona says that he is trying to ignore Cassio's plea, and as she asks him about Cassio, he demands the handkerchief ever more insistently. (Desdemona, Otello: Dio ti giocondi, o sposo / "God keep you merry, husband".) Desdemona protests that she is faithful; Otello sends her away (Desdemona, Otello: Esterrefatta fisso lo sguardo tuo tremendo / "Terrified, I face your dreadful look"). Otello laments his fate (Dio! mi potevi scagliar tutti i mali / "God, you could have thrown every evil at me" ). When Iago calls out "Cassio is here!" Otello hides as Iago and Cassio enter. Cassio says he had hoped to see Desdemona here, for he wanted to know whether she had been successful with Otello (Iago, Cassio, Otello: Vieni; l'aula è deserta / "Come, the hall is deserted"). Iago asks him to tell of his adventures with that woman. Cassio asks which woman, and, softly, so that Otello cannot hear, Iago says "Bianca" (the name of Cassio's actual lover). As Cassio laughs about his romantic adventures, Otello assumes he is speaking of Desdemona. In a conversation only partially heard, Cassio seems to be telling Iago that another woman, a secret admirer, left him a handkerchief as a token. At Iago's urging, Cassio produces it, whereupon Iago seizes it—for it is Desdemona's—and holds it out where he knows Otello can see it. He then returns it to Cassio and teases him, while in his hiding place Otello fumes (Iago, Cassio, Otello: Questa è una ragna dove il tuo cuor casca / "This is a spiderweb in which your heart is caught"). Bugles sound, announcing the arrival of the Venetian ambassador, Lodovico. Iago warns Cassio that he should leave unless he wants to see Otello. Cassio exits, and Otello asks Iago how he should kill his wife. Iago advises Otello to kill Desdemona by suffocating her in her bed, while he will take care of Cassio. Otello promotes Iago to Captain. Desdemona's bedchamber. A bed, a prie-dieu, a table, a mirror, some chairs. A light burns in front of an image of the Madonna which hangs above the prie-dieu. To the right is a door. On the table a light. It is night. Desdemona is preparing for bed with the assistance of Emilia. She asks Emilia to put out the bridal gown she used on her wedding day, and says that if she dies, she wants to be buried in it. Emilia tells her not to talk about such things. Desdemona recalls how her mother's servant Barbara was abandoned by her lover, and how she used to sing the Willow Song (Desdemona: Piangea cantando nell'erma landa / "Singing, she wept on the lonely hearth"). After Emilia leaves, Desdemona prays (Ave Maria) and then falls asleep. Silently, Otello enters, with a sword. He kisses his wife three times; she awakens. Otello asks her if she has prayed tonight; she must die, and he does not wish to condemn her soul. She asks God for mercy, both for her and for Otello. Otello accuses her of sin, saying that he must kill her because she loves Cassio. Desdemona denies it and asks that he summon Cassio to testify to her innocence. Otello says that Cassio is already dead. Desdemona, horrified, pleads for mercy, but Otello tells her it's too late and strangles her (Otello, Desdemona: Diceste questa sera le vostre preci / "Have you said your prayers tonight?"). Francesco Tamagno, the original Otello, sings "Niun mi tema" (Morte d'Otello). This 1903 recording dates from just two years before Tamagno's death. Emilia knocks at the door, (Emilia: Aprite! Aprite! / "Open up!") announcing that Cassio has killed Roderigo. Desdemona softly calls out that she has been unjustly accused, but refuses to blame Otello. She dies. Emilia calls Otello a murderer; he retorts that Iago gave him proof of Desdemona's infidelity. Otello begins to threaten Emilia, who calls for help. Iago, Cassio, and Lodovico enter. Emilia demands that Iago deny Otello's accusation; he refuses. Otello says that the handkerchief Desdemona gave to Cassio is proof enough. Emilia, horrified, explains that Iago stole the handkerchief from her—Cassio confirms that the handkerchief appeared mysteriously in his lodgings. Montano enters and says that Roderigo, with his dying breath, has revealed Iago's plot. Iago, brandishing his sword, runs away. After he realizes what has happened, Otello grieves over Desdemona's death. Initially he draws his scimitar (Otello: Niun mi tema / "That none fear me") but then relinquishes it. He then stealthily draws a dagger from his robe (Otello: Ho un'arma ancor! / I still have another weapon!) and stabs himself. Others try to stop him, but it is too late. Before he dies, he drags himself next to his wife and kisses her (Otello: Un bacio...un bacio ancora...ah!...un altro bacio... / A kiss.. another kiss...ah...and yet another kiss). He lies dead next to Desdemona. In 1894, Verdi composed a short ballet for a French production of Otello, which takes place during the third act that precedes the entrance of Lodovico. It is rarely performed as part of the opera. Iago is a fictional character in Shakespeare's Othello. Iago is the play's main antagonist, and Othello's standard-bearer. He is the husband of Emilia, who is in turn the attendant of Othello's wife Desdemona. Iago hates Othello and devises a plan to destroy him by making him believe that his wife is having an affair with his lieutenant, Michael Cassio. Desdemona is a character in William Shakespeare's play Othello. Shakespeare's Desdemona is a Venetian beauty who enrages and disappoints her father, a Venetian senator, when she elopes with Othello, a Moorish man several years her senior. When her husband is deployed to Cyprus in the service of the Republic of Venice, Desdemona accompanies him. There, her husband is manipulated by his ensign Iago into believing she is an adulteress, and, in the last act, she is murdered by her estranged spouse. Michael Cassio, or simply Cassio, is a fictional character in William Shakespeare's Othello. The source of the character is the 1565 tale "Un Capitano Moro" by Cinthio; Cassio is unnamed in Cinthio but referred to as "the squadron leader". In the play, Cassio is a young and handsome lieutenant under Othello's command who becomes one of Iago's several victims in a plot to ruin Othello. Roderigo is a fictional character in Shakespeare's Othello (c.1601-1604), where he serves as the secondary antagonist of the play. He is a dissolute Venetian lusting after Othello's wife Desdemona. Roderigo has opened his purse to Iago in the mistaken belief that Iago is using his money to pave the way to Desdemona's bed. When the assassination of Michael Cassio runs amiss, Iago fatally wounds Roderigo. 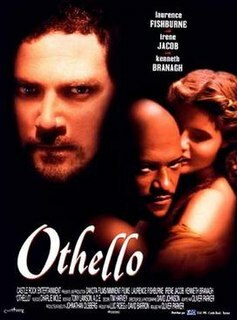 Othello is a 1990 film produced by the Royal Shakespeare Company, starring Ian McKellen, Willard White, Imogen Stubbs, and Zoë Wanamaker. It is based on a stage production of William Shakespeare's play Othello, directed by Trevor Nunn, and later rethought for TV and filmed in a studio. It was shot in a black box theater, so minimal props or scenery were needed, and aired 23 June 1990 on Theatre Night. The figure of Othello from the tragic play by William Shakespeare has appeared in many examples of popular culture since being authored by Shakespeare in the early 16th century. ↑ Budden 1992, p. 295. ↑ Budden 1992, pp. 298–299. ↑ Budden 1992, Verdi to Clara Maffei, 19 March 1878. p. 299. ↑ Budden 2002, Verdi to Ricordi, 2 May 1879. p. 255. ↑ Budden 1992, p. 319. ↑ Budden 1992, pp. 314–315. ↑ Budden 1992, p. 315. ↑ Budden 1992, Verdi to Boito, 9 December 1884. p. 318. ↑ Budden 2002, Verdi to Boito, 21 January 1886. p. 319. ↑ Budden 1992, p. 320. ↑ Budden 1992, Boito to Verdi, 21 December 1886. p. 322. ↑ "After 100 years, Metropolitan Opera shuns blackface for 'Otello'". RT English. Retrieved on 26 November 2015. ↑ "Metropolitan Opera to Drop Use of Blackface-Style Makeup in 'Otello'". NPR.org. 4 August 2015. Retrieved on 26 November 2015. ↑ "Debating 'Otello,' Blackface and Casting Trends". The New York Times. 1 October 2015. ↑ "An 'Otello' Without Blackface Highlights an Enduring Tradition in Opera". The New York Times. 20 September 2015. ↑ "The rarity of black faces, not 'Otello' in blackface, should be issue in opera". The Washington Post. 16 October 2015. ↑ "Met's Otello casting begs the question: Is whitewash better than blackface?". The Globe and Mail. 7 August 2015. 1 2 Budden 1992, p. 322. Budden, Julian (2002). The Operas of Verdi. Vol 2: From Il trovatore to La forza del destino (2nd ed.). London: Cassell. ISBN 9780198162629. Budden, Julian (1992). The Operas of Verdi. Vol 3: From Don Carlos to Falstaff (2nd ed.). London: Cassell. ISBN 0-304-30740-8. Marek, George R (1978). Othello and Otello (Liner notes). New York: RCA. "Verdi 200". Regione Emilio-Romagna. 2013. Retrieved 17 October 2015.